Dimensions 13 ft x 15 ft x 11 ft tall. D I S C O!!! 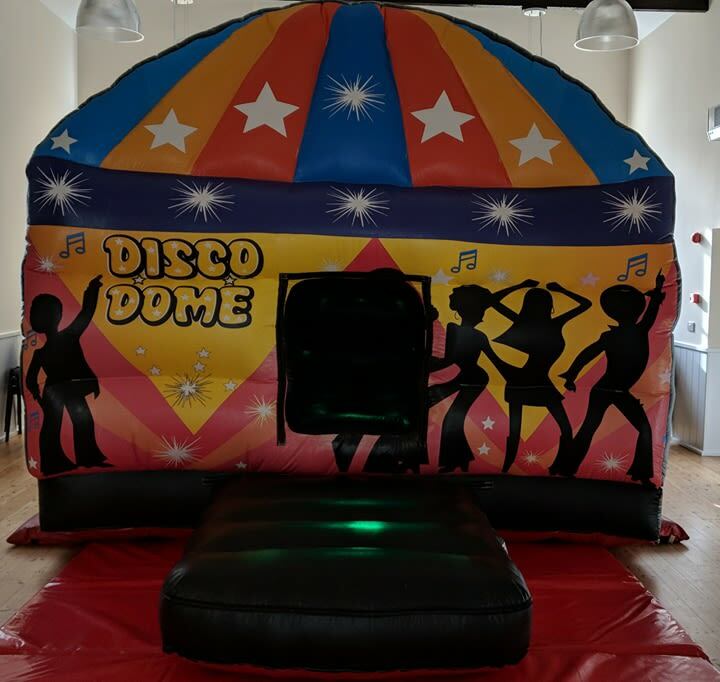 The disco dome fits in most halls. Packed with disco lights and playing the latest chart music creating a wow factor for any party. Suitable for girls and boys up to 1.5m tall.